Canadian pulses—dry beans, dry peas, lentils and chickpeas—are stepping into the spotlight in 2016 as the world celebrates International Year of Pulses (IYP). 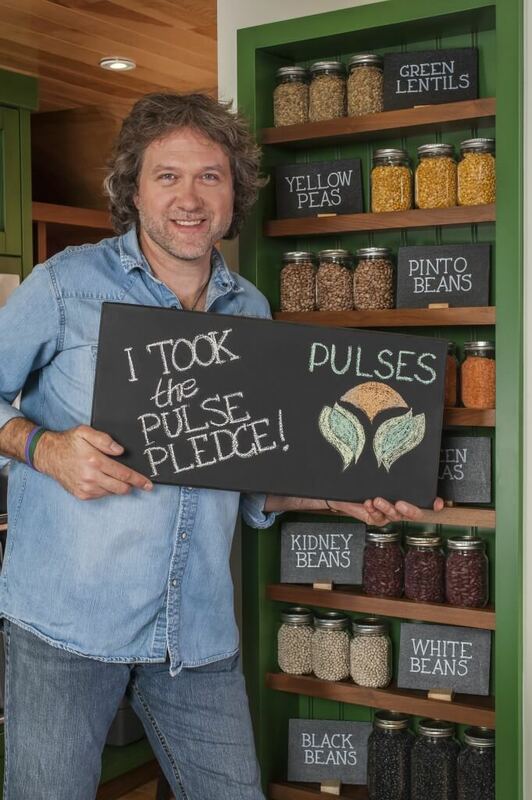 Chef Michael Smith is the first Canadian to pledge to eat more pulses in 2016. In conjunction with the kick-off of IYP, a Pulse Pledge campaign is being launched, aiming to get North Americans eating more homegrown pulses. 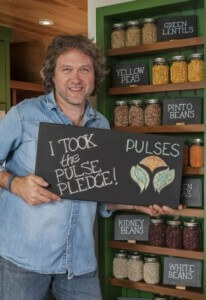 The Pulse Pledge is a 10-week commitment to eat pulses each week. “I took the Pulse Pledge because it is an easy way to boost nutrition in almost any meal from tacos to burgers to desserts. And, my family loves them,” says Chef Michael. Canadians can take the Pulse Pledge at pulsepledge.com and share their ideas on how they eat pulses through social media (hashtags #pulsepledge and #lovepulses). “We’re asking Canadians to make a commitment to eating pulses more frequently because just a half-cup can make a big difference,” explains Smith. Pulses are a low-fat source of protein, fibre and many vitamins and minerals. They support a healthy diet and can even help in the management of diet-related diseases like diabetes and heart disease. Canadians can also help the environment and contribute to the future of sustainable food production simply by eating pulses – they’re a low carbon, water-efficient source of protein that enriches the soil where they are grown. Pulses are a remarkable Canadian success story. Canada’s pulse industry, which only began to see significant growth beginning in the 1970’s, is now contributing over $3 billion to Canada’s economy. Canada is the world’s largest producer and exporter of dry peas and lentils and a major supplier of pulses to over 150 countries around the world. Canada’s biggest export markets are India, China and Turkey. Pulses are Canada’s fifth largest crop, after wheat, canola, corn and barley. The Food and Agriculture Organization of the United Nations has declared 2016 the International Year of Pulses (IYP) to celebrate pulses’ contribution to health, nutrition and environmental sustainability and to demonstrate the contribution pulses can make toward global food security and helping the UN implement its 2030 Agenda for Sustainable Development, which aims to eliminate global poverty and hunger. More information about pulses can be found at www.pulses.org.